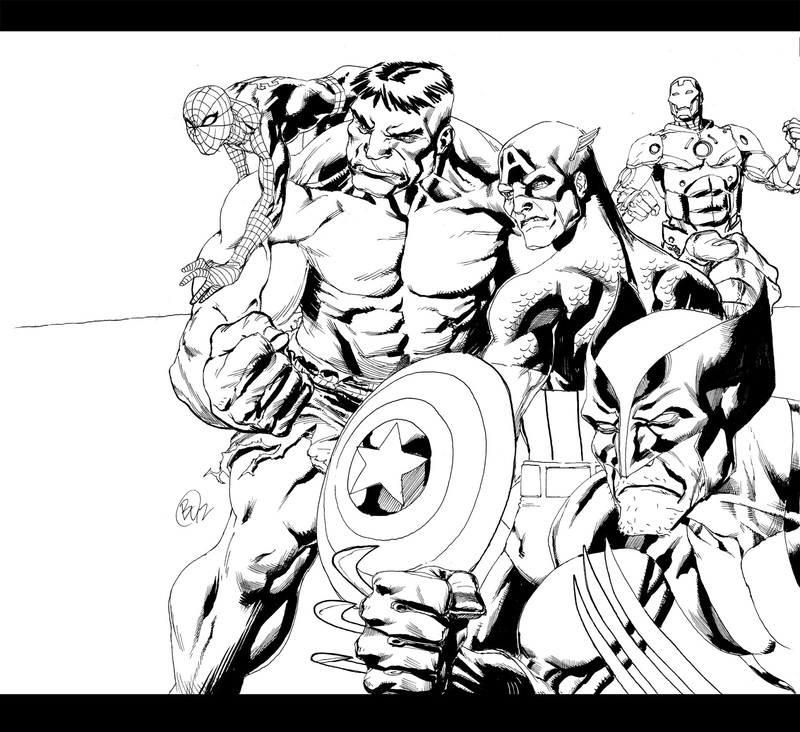 ...put my pen to paper and drew some of marvels big hitters in one place. There was no real composition, it was just tangential additions. IronMan and Caps sheild... I know... I'll try harder. sorry.